txeet was released on 9 Feb 2010. Shortly after releasing, I checked on App Store ranking and my analytic data, and I see signs that Apple’s App Store is getting too crowded. In just a single day, there are 18 lifestyle apps released. 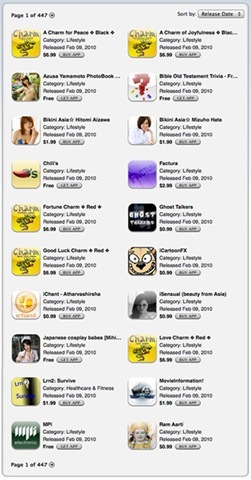 These apps are ordered in alphabetical order, therefore txeet is placed quite behind, in fact it is in page 2. To have a newly released app in page 2 is a big disappointment. One year ago, it could take 3 days before a new app gets pushed to page 2. Those were the days.. 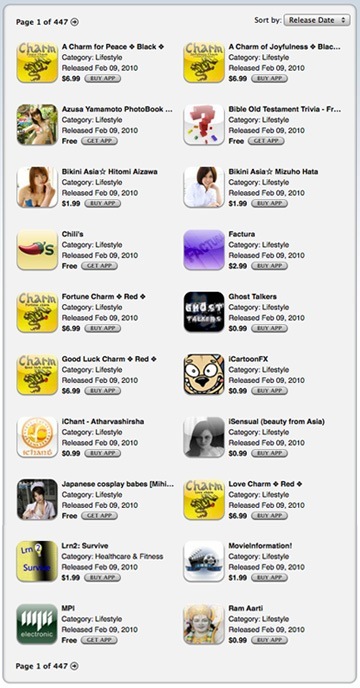 Note that page 1 has 5 charm apps (similar apps with combination of color and types…). The developer probably gonna release another 100+ apps as there are so many colors.. 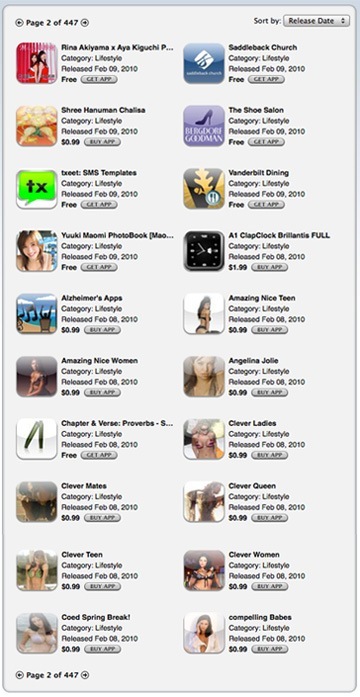 Page 2 has quite a lot of Girls apps, the latest trend. On first look, txeet looks bright and very out of place. I used Flurry analytics to analyze the number of new users for the first few days of launch. Android was released on Oct 18th, and the first day it gathered 620 new users. This post will be updated when I have updated data.